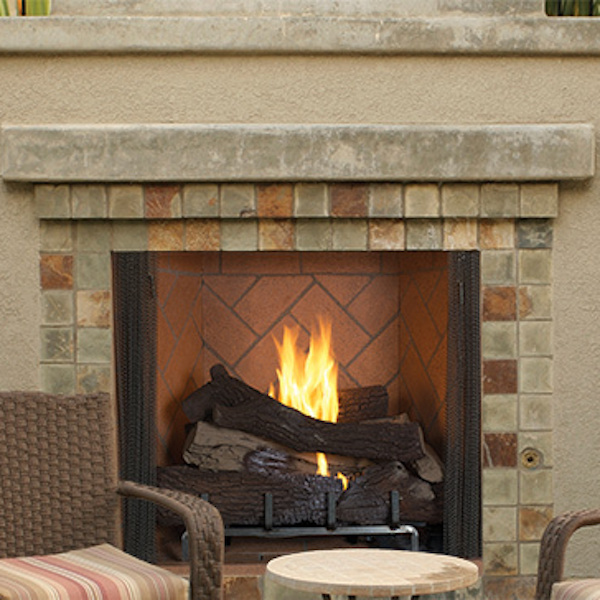 Vent-free Venetian fireplaces are great for outdoor heat. These fireplaces don’t require a lot of space due to their lack of a chimney system. They feature a 30” tall opening with a clean stainless steel face and full brick-to-face design. Patented Mosaic Masonry™ system is available in traditional Warm Red and Ivory or choose one of our stunning Estate Panels. The Venetian’s elegant style and rugged construction will make a wonderful addition to any outdoor living space.